In this lesson, students will be examining the work of Piet Mondrian. 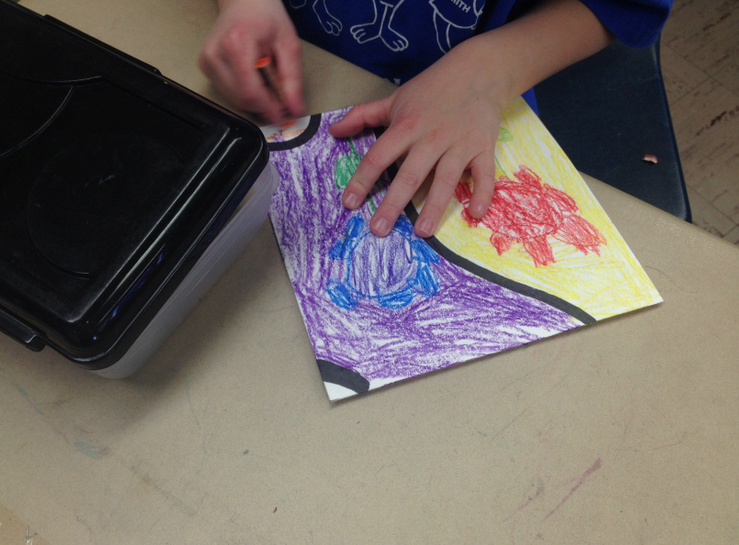 They will gain inspiration and knowledge from his use of primary colors and basic shapes to create a construction paper representation of a room in their home. In this lesson, students will be examining architecture from Ancient Greece and Rome. 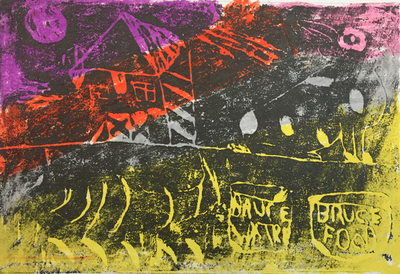 After reviewing what they know and doing some research of their own, they will construct collagraph prints that draw inspiration from the architecture they explored. 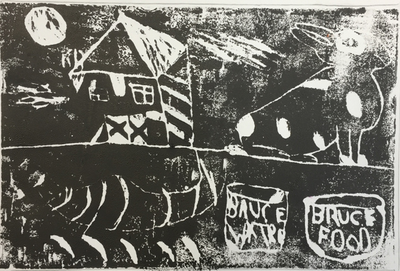 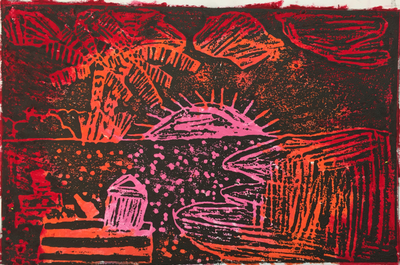 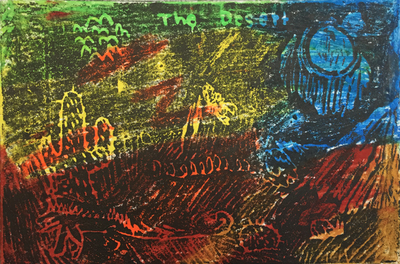 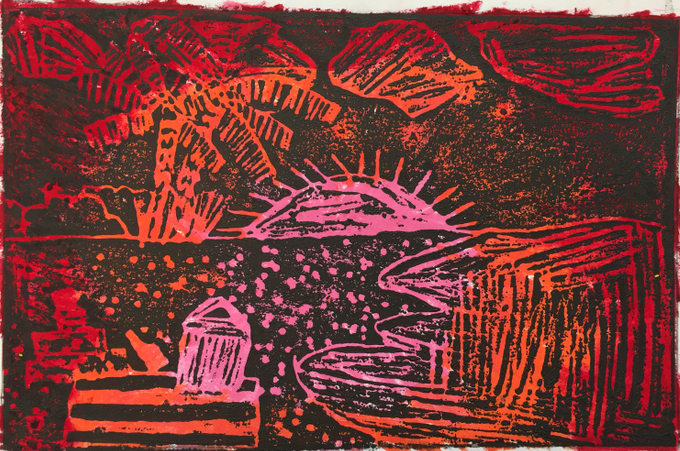 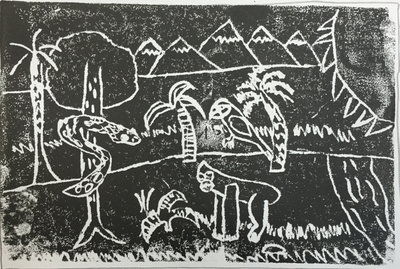 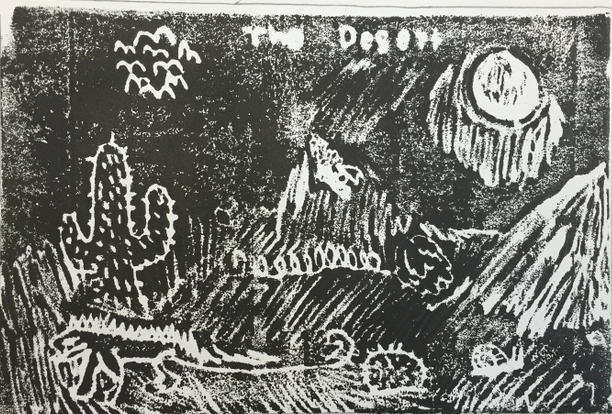 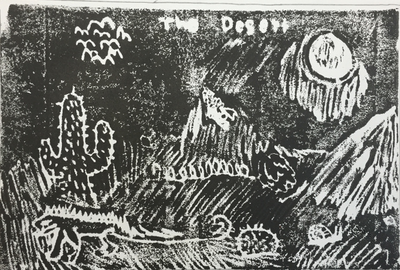 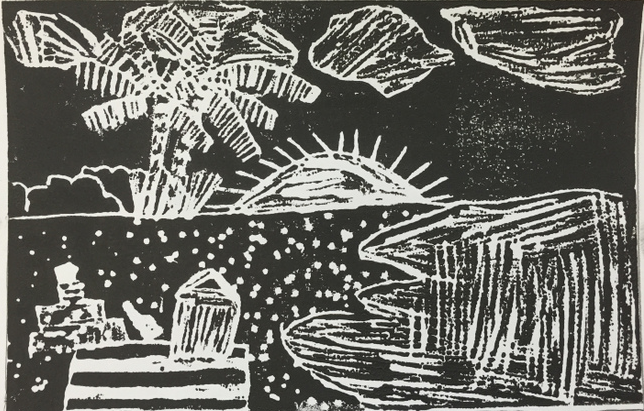 In this lesson, students will be creating styrofoam relief prints modeled after the work of woodcut printmaker Jean Gumpper. 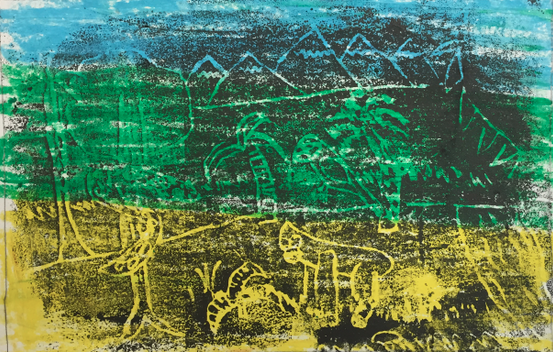 Through landscape, students will be examining the relationship between color and emotion, and how the colors in nature can evoke different emotions and memories. 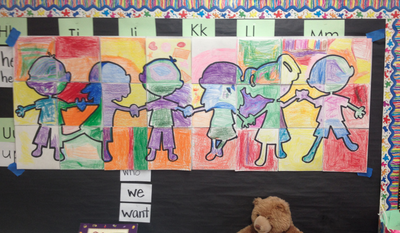 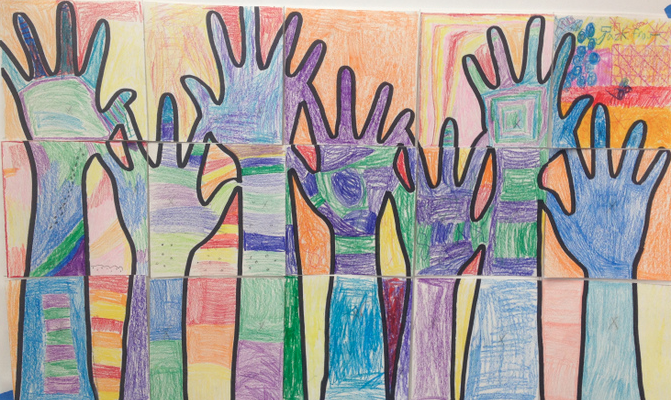 Based on the puzzle project of Tim Kelly, this lesson explores community by making a class-wide community puzzle, creating a unified piece with personal styles throughout. 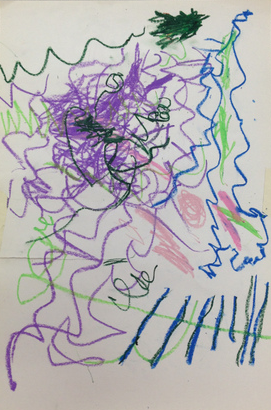 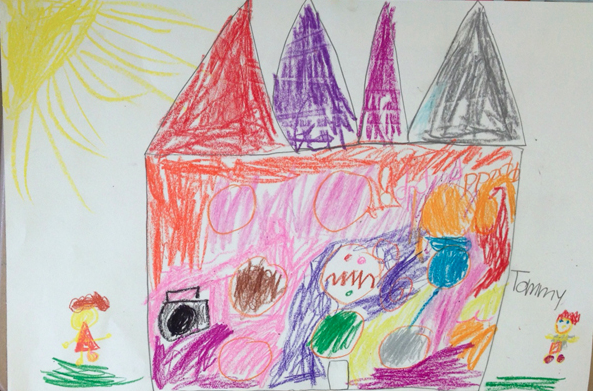 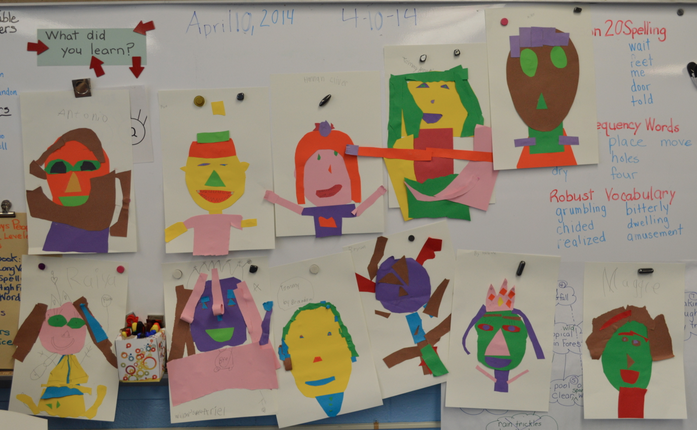 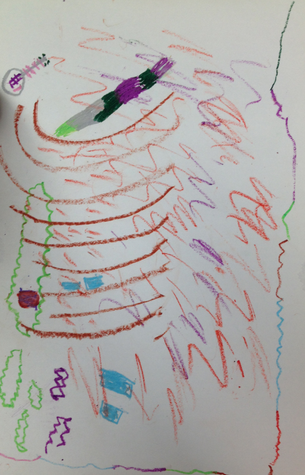 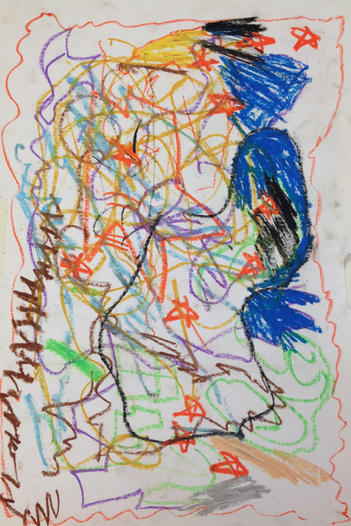 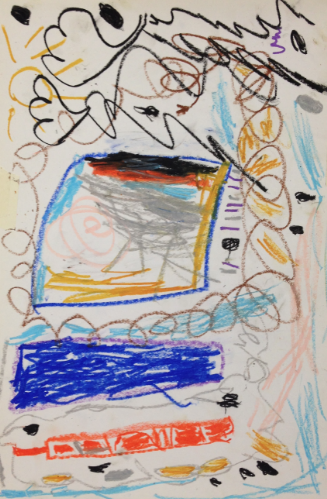 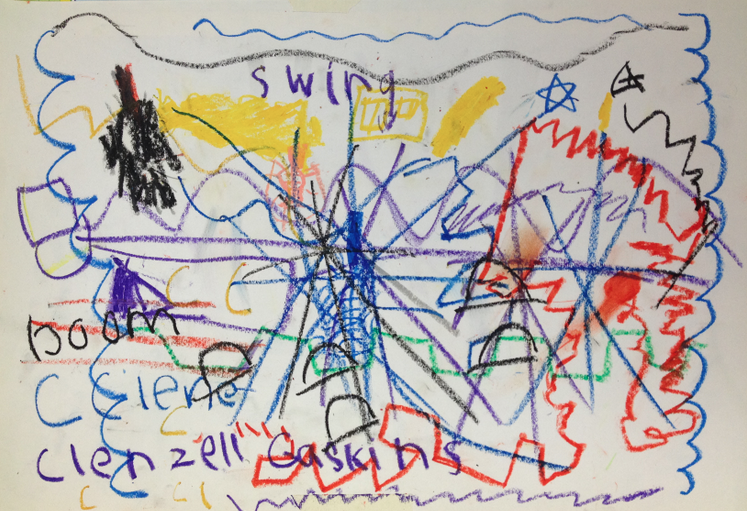 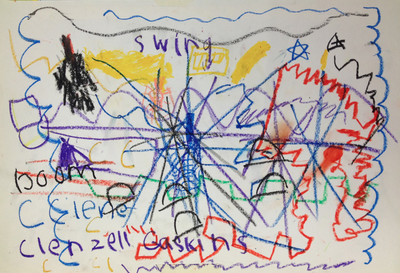 In this one-day lesson, students will create a collaborative drawing expressing emotion felt through various styles of music. 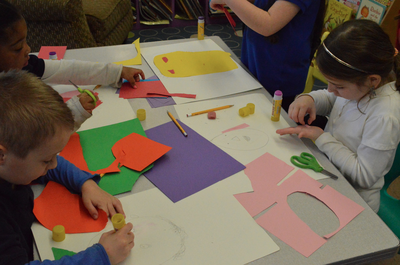 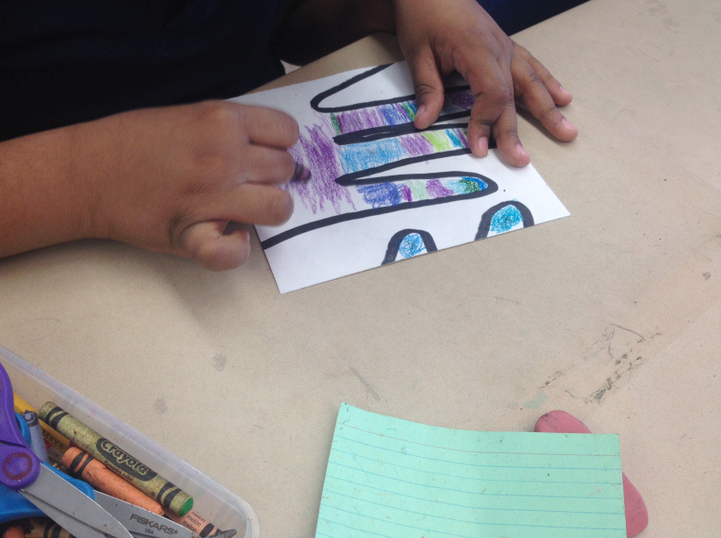 They will gain knowledge about abstract expressionism by studying the work of Wassily Kandinsky. Through examination of the work of Isaiah Zagar in Philadelphia, students will be gaining an outlook into the idea of enhancing local community with public art. They will look at the Magic Gardens and other mosaic projects by Zagar throughout South Street. 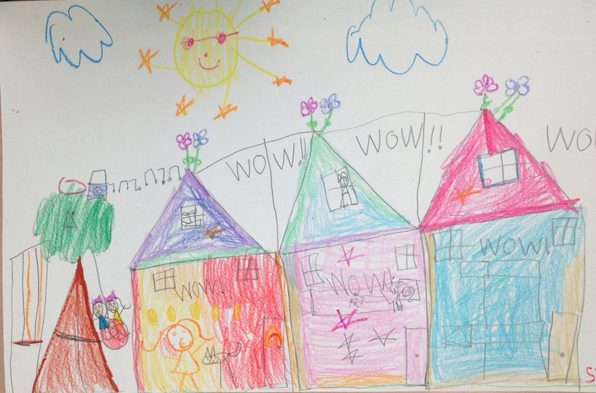 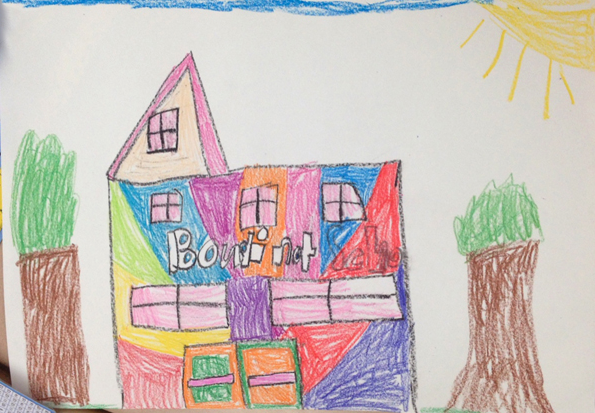 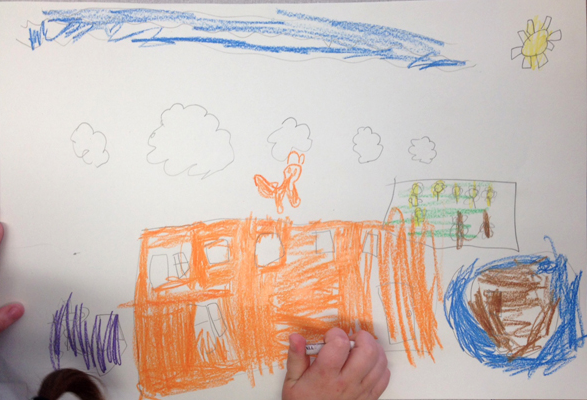 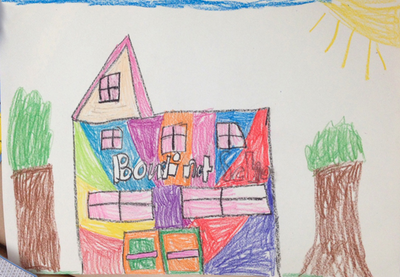 For the artmaking activity, the students will draw a building that is locally or personally significant, and formulate ideas of how they would enhance it with public art. 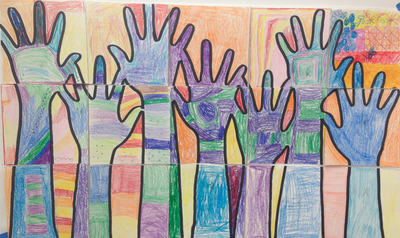 Students will study the basic structure behind a public art proposal and use these skills to present their ideas to their peers. 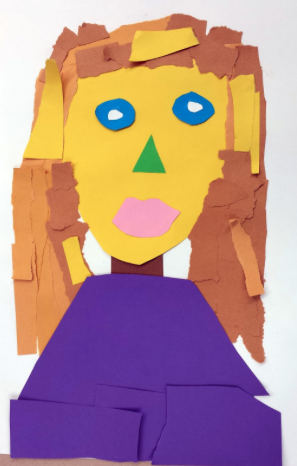 Students will be engaging in an artmaking activity in which they use collage techniques to create a portrait of one of their classmates. 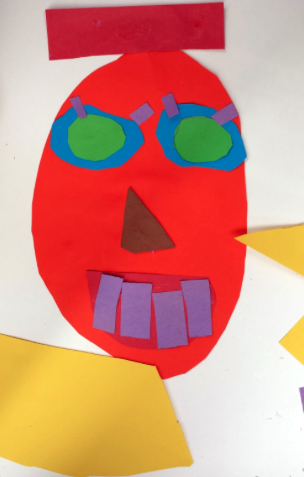 By studying the “Wasteland” projects of Vik Muniz, students will be inspired by his work, and will use cut pieces of construction paper to emulate his techniques, all the while gaining an appreciation for art’s ability to celebrate figures from one’s place of origin.